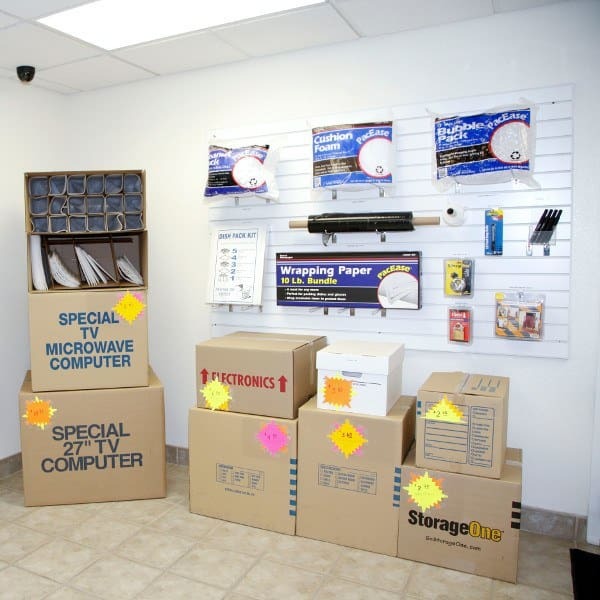 StorageOne carries a complete line of packing and moving supplies for purchase. We carry everything from markers and tape to bubble wrap and various size storage boxes, as well as complete moving kits. If you need a dish packing kit, we’ve got that too!